A Hall of Famer Knows: Even the best basketball careers must end. Charles Barkley congratulates Dirk Nowitzki on a 20-year run that changed the way the game is played. Look, Dirk Nowitzki has had an amazing career. He's obviously the greatest foreign player ever to play in the NBA. But it's time for him to go ahead and retire. I know he was keeping his options open to come back for another year before his recent announcement, but he just can't play anymore. 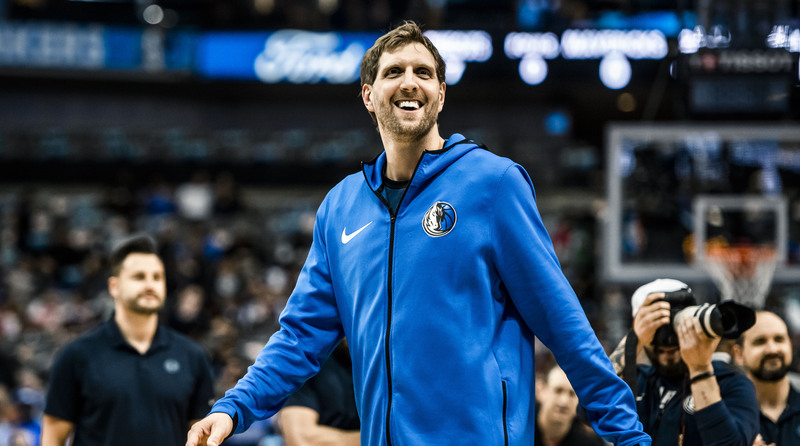 And with Dirk, you really see it—because that guy could play. I've told the story before, but I first met Dirk when he was still a teenager. I went over to Europe to play in some exhibition games with Michael Jordan, Scottie Pippen and some other guys, and this 7-foot German kid was just kicking our butts. I had no idea who this dude was, but he scored more than 30 points against NBA players. I just wanted to get him to Auburn. Imagine him playing against young kids after he just scored 30 on us. [Ed. note: In some of Barkley's retellings, Nowitzki scored in the 50s.] I can't say I thought he was gonna become one of the greatest players ever—that would be disingenuous. But he was already good. I think of Dirk as a finesse player. That's not a knock or anything. It would've been stupid for him to go down low and try to beat the hell out of everybody and get himself beat up instead. When you look at him and Kevin Durant, these are 7-foot guys who are great offensively because they play the game at their skill level. They are so good they're just impossible to guard. I can appreciate the beauty in that, even if my game was completely different. Dirk was just a nightmare matchup. You can't put a little guy on him. You can't put a big guy on him. There was nothing you could do—no perfect guy to guard him. That's what makes him special. To me, his fadeaway is comparable to Kareem's skyhook. Other guys may try to imitate it, but only someone as tall as Dirk can make it a lethal weapon. But it's still a team game, and for a long time Dirk just didn't have enough help. It wasn't that he was soft or couldn't win. Most years, those other guys just weren't good enough. One thing I appreciate about him is that he never went off to join a superteam or anything like that. I don't think you have to do that and, really, it's just been unfortunate for the NBA. Dirk went his own way. It's a remarkable run. Everybody wants to win a championship, or spend their whole career in one city, or play for 20 years, or be a really great player. Dirk did all of that. To be great for this long in the same city is incredible. It's even better because he's such a wonderful guy. There's nobody that's gonna say a bad thing about Dirk Nowitzki. I've got to be honest, though: He doesn't have the game anymore. That's O.K. You look around, and all the big guys are shooting threes now. It's scary, and obviously Dirk has had an influence on that. The game changed with him. There's a lot of really good NBA players who come and go. With an all-time great, it's just different. You see it with Dwyane Wade, and you'll see it with Dirk. There's something special when you lose a player like that. Celebrating him is an honor and a privilege, plain and simple. But first, you've got to realize it's time to go.